The idea of pilgrimage goes back to Abraham, the idea that we are not fully home and that our lives are a journey with and closer to God. Rooted in the pilgrimages in the Old Testament during the three main festivals and the traditions fo the European church, we will reflect on how our lives are a journey of spiritual formation, worship, and understanding who we are before God on this earth. Also discussed is our Pilgrim Guide, a small booklet available at the resource table on Sundays, to serve as a map and record of where we’ve been throughout the year as a personal devotion resource. Finally, Leadership Edge is a non-profit ministry that provides principled leadership training and authentic mentorship so that all followers of Christ can lead in each sphere of influence they are in. Mentor trainings will be provided 2/6-2/27 or 2/9-3/2. Community Group Discussion Guides will be provided with supplemental readings and discussion questions to complement the sermon series on pilgrimage from a variety of voices over time and geography, to help us think on what we are learning and how to apply it in everyday life with the encouragement and support of our community groups. We also plan on expanding our plurality of Elders by affirming and installing three more elder candidates. We also plan on having a Pilgrimage Hike in the fall to experience as an entire church the act of journeying together as an act of worship, fellowship, and spiritual formation. This section also includes interviews discussing the role the retreats in 2018 had in building relationships in community at Christ Church. As our hearts are transformed by God and one another, our eyes go outwards towards missions. We went over our long-standing commitments and partnerships along with new missions opportunities. 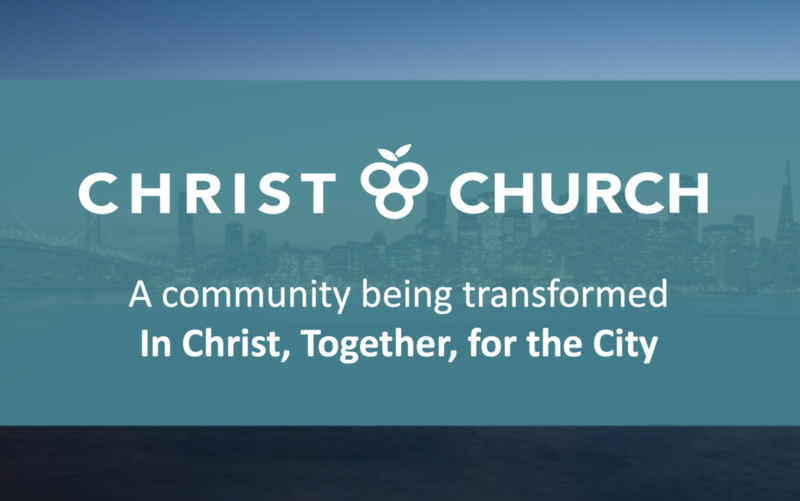 Our local church-planting partners in San Francisco and the Bay Area include: Grace Alameda, Citizens, and now The Porch. We also have ministry partners in Mcheneka, Malawi through Hands at Work, where we also support Levy and Michelle. The Phillips Family is in Vilafranca and Barcelona, Spain, where less than half of one percent of the country is evangelical Christian. We also have been invited this summer to have another English Camp. Sarah and Jared Dunham have a heart for homeless folks recovering and healing from all sorts of brokenness through Christ, in sustainable community. They are traveling across the country, but currently in Alabama. To help train and equip church leaders in their indigenous languages, we are supporting Manuel Banda in Lilongwe, Malawi, who is establishing a seminary in Lilongwe, to then go out to strengthen pastors in rural areas, where our volunteers currently serve. To help and train equip church leaders in an unreached country, we are partnering with Matt Leighton at IBSTE, a seminary in Spain. We are also partnering with Louisa who works with the Rohingya (for security purposes, please contact us for more information on how to support!). We also plan on having our Tenth Anniversary Party this fall, where will will invite all former members of Christ Church to join us. Being in San Francisco is unique in that we were able to be with and then send out so many former members all over the country and the world. It would be great to gather again together to celebrate the faithfulness of God to us. We are very much looking forward to our pilgrimage together this year. Let’s continue to pray and seek God in Christ, Together, For the City.